For several, especially the polluters, Pollution Control Board (PCB) is an important institution. PCBs grant or renew consents to pollute, demand and accept payments for the Cess and carry out monitoring to check the compliance. No wonder, the atmosphere at a PCB is sometimes like a Police Station. You are not sure about the justice! The Member Secretary (MS) is the Chief Administrator of PCB while the Chairman gives strategic direction. Both MS and Chairman are difficult to meet, not just because they are extremely busy but because they often belong to the IFS/IAS category. Once you belong to this category, then you have to keep people waiting outside the room and say “no” after a long wait. I have been however quite fortunate in working with the PCBs. My first interaction was with Mr. B V Rotkar, MS at the Maharashtra Pollution Control Board (MPCB) in 1978. I met him in his office at the Grant Road that was dimly lit. Later, in 1979, I met Dr Niloy Chaudhari, Chairman of Central Pollution Control Board (CPCB) at CPCB’s very first office at the Shahajahan road in New Delhi. That office was like a barrack. I made propositions to both Mr. Rotkar and Dr Chaudhari on modelling water quality for preparing rational river water quality management plans. They gave me patient hearing, showed interest and promised support (which they actually did). These were technical discussions that are rare today at the PCBs. I became a retainer consultant to CPCB for 4 years from 1984 and started visiting Delhi every month for 3 to 4 days. The office was at Nehru Place with Roopa and Sona (shops selling samosa, paneer dishes and sweets) at the ground floor. I used to frequent there with my CPCB colleagues and bump into some of the activists from Centre for Science and Environment. I did not have precise terms of reference for work so I used to be working with Dr Niloy Choudhari on a variety of areas. His vision, depth of the subject and way of conducting and summing up the meetings was phenomenal. I got groomed in this process. Oh, the Chairman of the PCB matters. I was connected to almost all the key officers of CPCB. I used to stay at the Guest house of CPCB at Alaknanda housing complex across Chittaranjan Park. Those were really memorable days as after the day’s work, dinners used to be with colleagues at CPCB. Dr Sudhir and Usha Ghosh were the regular hosts (Usha was Statistical Offer then and was my key contact). I used to be with the Baruahs (who later moved to Vadodara regional office) and S P Chakraborty (who later became MS of CPCB) for dinners as well. We used to talk about the politics and the problems but building capacities of PCBs was always a central topic of discussions. While at the Guesthouse, I used to be with other CPCB consultants like Prof Mukherjee of Center for Man and Environment from Kolkata and bump into some of the senior Regional Officers of CPCB such as Dr R N Bhattacharya (RNB). I remember I used to scare RNB by telling weird ghost stories at night and Prof Mukherji used to have a good laugh at my “stories”. Prof Mukherjee introduced me the importance of creating maps and the “infographics”. He created several maps for CPCB, especially for Ganga. Today, PCBs seldom make such maps. I strongly believe that map making builds capacities, improves understanding and builds teams. Helmut Krist was one of the first GTZ consultants to CPCB. We gelled very well – along with Dr Sudhir and Usha Ghosh. I was keen that CPCB embarks the era of computerization. There was however some resistance at CPCB on use of computers. On my insistence, Krist found money to purchase the first Personal Computer (PC). I wrote the database management software for the CPCB using this machine. The coding was done in dBASE III+/Clipper (following Simpson’s book) and Mita Bhattacharya (who is still with CPCB) helped me along with Usha Ghosh. I wrote codes for managing water quality, air quality and industrial pollution data. I also wrote codes for computation of Cess (that unfortunately got the most priority!). These codes on testing were provided to all key State PCBs and a week-long training was conducted in New Delhi. The computer era at PCBs thus begun. My major contention was to bring in discipline in data collection and organization of data rather than just the computer application. Unfortunately, few understood (even today) this hidden objective and the benefit. Later, the National Informatics Center (NIC) took over to develop several “modules” in the style of Management Information System (MIS). The modules were installed in several State PCBs for the interest of harmonization. Today, after nearly 30 years, only some PCBs are actually using these systems to their advantage. Gujarat and Maharashtra PCBs are the lead examples where the systems are in active use. Unfortunately, the focus still continues to be computation and recovery of Cess. I found training programmes as a great platform to connect with the PCBs. In 1987, the Ganga Project Directorate sponsored a project with me on water quality modelling – keeping a focus on application of these models for river Ganga. After the field establishment of these models (called as STREAM-I and STREAM-II), I conducted 10 training programs for the staff of PCBs and trained nearly 200 scientists and engineers over 2 years. Many of these “students” later rose to the level of Chief Engineers/Scientists and even MS in various State PCBs. These connections helped me to continue my interactions with PCBs – one way or other. Of course, what was “taught” was quickly forgotten! The friendship however continued!! In 1991, the Industrial Pollution Control (IPC) project was launched by the Ministry of Environment & Forests with the support of the World Bank. Strengthening of the capacities of the State PCBs and CPCB was one of the project components. The IPC project was followed by the Industrial Pollution Prevention (IPP) and later by the project on Environmental Management Capacity Building (EMCB). Strengthening involved upgrdation of the laboratories, installation of computer systems and applications based on GIS and training of staff in India as well as overseas. These projects lasted over 10 years till 2001. I worked with the World Bank as a Consultant for IPC, IPP and EMCB in this entire duration. I was closely involved in the capacity building component. Indeed, these efforts transformed the PCBs “for a while” but as the MS’s changed, seniors retired and the World Bank support ended, the situation returned to the same dismal state. In 2004, another project called Capacity Building for Industrial Pollution Management Project (CBIPM) was taken up by MoEF and the World Bank for capacity building focusing on rehabilitation of the contaminated lands. I was involved in the project formulation of CBIPM. The capacity building under CBIPM improved the laboratories further but could hardly create a dent due to poor project management. These four World Bank assisted projects “spent” nearly 150 million USD on capacity building of the State PCBs and CPCB over nearly 30 years. There were efforts made through bi-lateral assistance too. Examples are the Environmental Training Institute (ETI) at Tamil Nadu Pollution Control Board and ETI at the Karnataka State Pollution Control Board (that was later transformed into Environmental Management and Pollution Research Institute – EMPRI) that received Danish (DANIDA) Support. Then there was Environmental Protection & Training Research Institute – EPTRI) an off shoot of Andhra Pradesh Pollution Control Board that received support from SIDA. GIZ (earlier GTZ) provided assistance to modernize the laboratories at various State PCBs. NORAD provided such assistance to the Orissa Pollution Control Board. In fact, I was called to design a Centre for EIA in Bhubaneshwar that never materialized. NORAD and SIDA provided some assistance to the Rajasthan PCB and Madhya Pradesh PCB as well. AusAID assisted the Andhra Pradesh PCB by taking nearly 100 staff members to Australia for training. I would estimate that another 150 million USD were spent by the bi-lateral development agencies for capacity building of the PCBs. Despite these efforts, do you think the capacity of PCBs has improved? It seems that capacity building at PCBs was like a black hole – you send beams of light that get simply swallowed and nothing comes back! There have been efforts made for different institutional design and arrangements to circumvent the challenges on capacity building. The West Bengal PCB partnered with IMC to establish Environmental Management Centre to serve as a facilitator. The Maharashtra PCB signed MoU with YashDa as a twinning partner for capacity building. The Tamil Nadu PCB has initiated Technology Demonstration Centre with IIT Madras for demonstrating best available technologies. A financial support of Rs 50 million has been provided. The Rajasthan PCB has embarked a program on promoting entrepreneurship in the waste sector under State’s Start up Policy. Most of these efforts have however not been successful. Few years ago, Andhra Pradesh PCB (APPCB) prepared a blue print for Environmental Compliance Assistance Centre (ECAC) – structured in the form of a Special Purpose Vehicle (SPV). This SPV was intended to provide services to improve compliance and competitiveness of the SMEs – keeping an arms distance from the regulator. My company Environmental Management Centre, prepared this blue print for APPCB after a painstaking process but as soon as the blue print got finalized the State of Andhra split! Today, PCBs perhaps do not have a single case to show that because of the actions, the pollution load has been contained or reduced. The environment continues to deteriorate. The staff at the PCBs has remained incompetent and is inadequate while the responsibilities have increased. The heads of the institution are mostly the administrators who are not familiar with the domain. They change seats frequently. The courts are intervening and interfere. More importantly there seems to be no interest in the staff for learning and catching up with the new paradigms on environmental management. Mr. T N Seshan, Ex-Secretary, MoEF had once said that PCBs should be closed. The TSR Subramanium report has made recommendations on demolishing PCBs and restructuring the environmental governance. The Supreme Court of India has already given directions. The situation is no different in other countries. I can say this having worked closely with regulators in Egypt, Thailand, Indonesia, Philippines, Mauritius, Bangladesh, Malaysia and Vietnam for the past 20 years. The black hole of capacity building of environmental regulators continues. I was not surprised when Mr. Trump announced that he would close or shut down the US Environmental Protection Agency. Well, he may have other reasons but he could just be right. But let us look at solutions and take an optimistic outlook. What can be done? Some say (like commented by Sajid Hussain below) that we must bring in the component of training in the career progression of the PCB staff. Some believe that twinning with an academic institution should be the way. 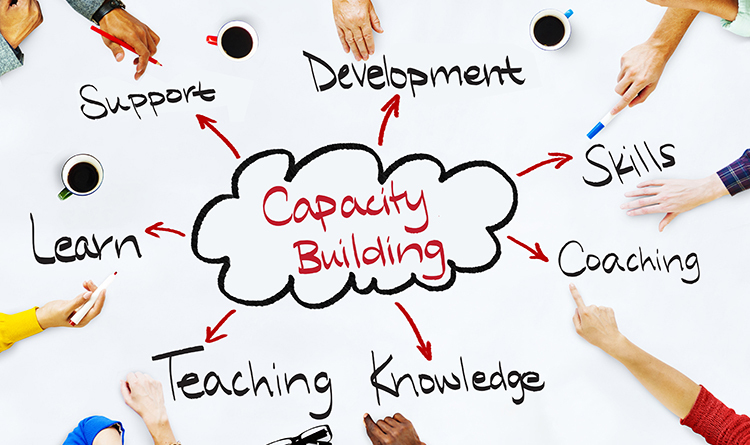 Some argue that dont limit capacity building only to PCBs but address the core eco-system i.e. consultants, environmental monitoring agencies etc. from the private sector. Having a resident expert to provide hands on training is also considered another idea (this was attempted by GTZ). Instituting induction program at the “base of the pyramid” (as suggested by Dr Singhal in his comment) and leadership program at senior and top levels (suggested by Prof Pratim Biswas) could be an effective strategy of bottom-up and top-down approach. May be a combination of all could work. Financial resource is no more a constraint. I would be very interested to listen to your point of view. Let us hope that the magic of capacity building works and PCBs become the lighthouses and not black holes. I think the problem of training and learning is common with all sectors and not just PCB. This is because we do not have a professional licensing and grading system which requires PDU or professional development units with minimum hours required to maintain your professional license or improve your grades. Without this becoming mandatory in the country, capacity building will remain a black hole were funds are swallowed without seeing any light at the end of it. The EIC experiment that you tried so hard for also did not materialise the way it should have ….EIAs continue to have dated and meaningless baseline data. The comparison with the police is often used and justly so. I’m currently working on the ETP adequacy assessment of several sugar mills in the Ganga basin. CPCB issued a diktat in May that this assessment had to be completed by end of July along with water balance of the sugar mills and the ETPs had to be brought up to the mark & in working before the start of the crushing season in October. Whilst this effort to reduce pollution is appreciated, the basic flaw is that this assessment is being done when the mills are not working. There is no flow measurement for water/wastewater in most mills either. So the end result may not be as expected even after huge investment. The post is well written and gives a good accounting and in essence a very brief history of the CPCB. It is clear that a good structure with appropriate leadership has to be set up. I fully concur with Mr Hussain and Dr Modak, that a training program is essential. However, it should not just be a mandatory PDU based program. It should be a multi-tiered program with training also for the leadership (starting with the PCB Chiefs) all the way to the lowest rung. Only then will the training and education be effective. Furthermore, evaluation schemes should be set up, so that the education and training programs can be tweaked. A good example of a leadership training program is the one Washington University in St. Louis and IIT Bombay is initiating – and hope CPCB and PCB leadership will avail of it. The other important aspect is incentivizing the PCB employee. This can be done by promoting research and allowing them to come up with innovative ideas, work in teams, connect to researchers at other institutions, explore what their peers do, etc. Metrics for research are well understood – I am curious how amy sceintific papers are published by PCB employees ? Even teaming up with others to do so is an essential factor. A final comment is that PCB is not a progressive name in the first place. They should be a more pro-active environmental agency. The organisational.structure and the attitude of personnel in the regulatory departments need to change .They have to act as facilitators and mentors for industries and municipalities to target beyond compliance. I had good response from some individuals in CPCB,MPCB ,DISH. at the highest level. We were encouraged to perform like role models. PCBs donor have any structured training programs. Even there is hardly any good quality induction program for the fresh recruits unlike in other services. CPCB should take lead and frame guidelines for induction training and other trainings/refresher programs at various intervals of the service. Current status is pathetic to say the least. The greed for power and authority is killing the enthusiast in PCB. Unless the bureaucrat is removed from decisive roles , any attempts to increase capacity building will futile.